The NFL is an unpredictable league. The average player's career is 3 seasons. And even the league's stars aren't safe from the caprices of injury and sudden obsolescence. Just a couple of years ago we were talking about players like Victor Cruz, Adrian Peterson and Jamaal Charles being some of the league's biggest, most marketable stars. Now they're all going on the chopping block and likely never to sniff another Pro Bowl. The league will need a new batch of stars to replenish the ranks of the next couple of years as more players like the aforementioned fall away. I, with help from each fanbase, have identified and profiled the twenty players (limit one per team) most likely to step out of the shadows and become the new faces of the league. These are players who are all still under their rookie contracts and have yet to be voted to a Pro Bowl or win any other league awards. Clark represents the next wave of young defensive talent that will keep the Seahawks among the league's top defenses for years to come. He began to emerge as part of the Seahawks d-line rotation as a rookie in 2015, notching 3 sacks during the second half of the season while playing only a third of the team's total defensive snaps. In 2016 he nearly doubled his workload, playing 63.2% of defensive snaps and started 5 games, racking up 10 sacks. He has a strong hand punch that allows him to power through guards. He has a rip move that works with both inside and outside technique. And he's tenacious, not giving up on a play even when his initial move doesn't get him home (or in this case, the QB eludes him at first). Clark's combination of strength and athleticism make him just as effective rushing inside as part of the Seahawks' NASCAR package (all 4 down linemen are edge rushers) as he is coming off the edge. With both Michael Bennett and Cliff Avril now in their 30s, expect Clark to become the anchor of Seattle's defensive front in the next year or two. His versatility will allow the team to use him much in the same way that they've employed Bennett over the last 4 seasons. And if the team can find another stud pass rusher through the draft this year, their front-seven should be expected to remain one of the most feared in the NFL. The only reason Clark is not higher on this list is that his checkered past (dismissed from the Wolverines football team in November of 2014 following a domestic violence incident, and suspended as a sophomore due to an arrest for felony home invasion and theft) will make the league much less likely to promote him as one of its up-and-coming stars. It remains to be seen if he'll show enough over the next couple of years to prove to the world that he's cleaned up his act. Tunsil was viewed by many draft observers to be the closest thing to a can't-miss prospect in the 2016 draft. His body of work at Ole Miss, against SEC competition spoke for itself, and his combination of length, strength and athleticism was exactly what the NFL looks for in a pass-heavy era. Unfortunately for Tunsil, the draft-day release of a certain infamous video caused him to fall out of the top-5 and into the laps of a Miami team in the midst of an ongoing project to rebuild its offensive line. With a still-effective Branden Albert under contract through 2018 and entrenched as the starting left tackle, the Dolphins shifted Tunsil inside to left guard. Despite being out-of-position, Tunsil wound up starting all 15 games (including playoffs) that he played as a rookie and quickly emerged as one of the two best players on a rapidly improving unit. Tunsil's greatest strength coming out of school was his balance and footwork, which he routinely puts on display in pass protection. Observe him neutralizing Geno Atkins, one of the league's best interior rushers, countering his inside rip and keeping him from getting a clear shot at QB Ryan Tannehill. In the running game, he showed steady improvement as the year progressed. Here he is clearing out Leger Douzable of the Bills on a counter run in week 7. And here he is pulling across the formation in the same game. Note that he has the athleticism to get to the second level and finish his block despite not having a clean lane to move through initially. He also has the agility and awareness to effectively recover when he initially misses an assignment. With Branden Albert potentially on the chopping block, a move back to his natural position might be in the near future for Tunsil. Once he's back at LT he should be able to make better use of his full skill set and make life easier for a quarterback who's been known to hold the ball longer than most. His pre-draft comparison was Tyron Smith of the Cowboys, and if he becomes even 85% as good as that, he should be one of the top OTs in the league for the next decade. Considered by many to be among the most intelligent defensive players in the league, Hicks' ascension to wearing the green dot as the signal-caller in the Eagles defense was one of the main reasons that unit rose from being middle-of-the-pack in DVOA 2015 to top-5 in 2016. Hicks is a true three-down linebacker who excels both in coverage and against the run and is among the most fundamentally sound linebackers in the NFL on all levels. He rarely misses a tackle or a coverage assignment, and has already played effectively in both a reactive 2-gap scheme under Bill Davis, and an attacking 1-gap scheme under Jim Schwartz. While he doesn't jump off the tape as an athlete, Hicks has more than adequate athleticism to cover backs and tight ends as well as close quickly on ball-carriers on perimeter runs. He can also recover quickly when he doesn't diagnose a play immediately off the snap. He also does an excellent job of reading quarterbacks in coverage and making plays on the ball, as evidenced by his 5 interceptions this year. It's tough to get people outside of his team's fan base excited about a player whose greatest asset is being smart and fundamentally sound, but Hicks makes enough splash plays even as a non-rushing LB to command attention around the league. He's cut from the same cloth as guys like London Fletcher and Jerod Mayo, who were known as team leaders from an early age and earned the respect of teammates and opponents alike. The Cowboys' 2016 draft class may go down next to the Steelers' draft of 1974 as one of the greatest in NFL history. Everyone knows about Dak Prescott and Zeke Elliott at this point. But 6th round pick CB Anthony Brown flashed a great deal of potential in the 9 games he played, and 2nd round LB Jaylon Smith is expected by Cowboys fans to develop into a force once he recovers from the knee injury that wiped out his rookie season. But it's Collins who could prove to be the difference-maker above all others if the Cowboys' defense is to take the next step after clawing its way up to respectability in 2016. Collins was drafted to play the role of 3-tech interior penetrator, taking the spot vacated a year prior by Henry Melton and, as DaBoys explains, his rookie progression arc was eye-popping. ...it typically takes a year for DL to make an impact. Very rarely do rookie pass rushers make a strong impact for their team. This was exacerbated by Collins not being in training camp, and not playing in preseason. Yet by week 3 he was a starter, and by week 17 he was in the top 10 for most sacks among all NFL DTs. The guy is going to be a stud. I can't wait to see what his first full off season will do for his game. Collins wound up playing 62.1% of the Cowboys' defensive snaps as a rookie, which was more than any other defensive linemen on the team. His 5 sacks led all rookie interior linemen and ranked 7th among interior linemen in general. While Collins doesn't have the length or raw athleticism that Melton had in his prime with the Bears (before he tore his ACL in 2013), he plays with all the strength and technique necessary to be a great interior pass rusher, as well as exceptional quickness off the snap. Here he successfully gets under fellow rookie Ali Marpet's pads and knocks him off balance to get into Jameis Winston's grill. Here he's able to basically ragdoll Alvin Bailey and knock him aside to move in for a sack on Cody Kessler. And here he makes Graham Glasgow look foolish right off the snap, then shows enough speed to chase down Matt Stafford outside the pocket for the sack. He also shows up well in backside pursuit. It's rare for interior linemen to distinguish themselves enough to become true superstars, but Collins has the potential to quickly rise to the ranks of the elite at his position. His ceiling is potentially an even better Geno Atkins, even though he doesn't quite have the positional flexibility of a J.J. Watt. 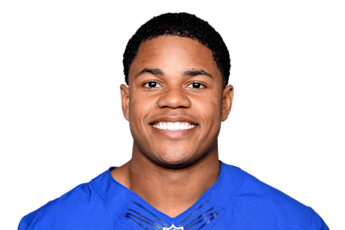 After a couple of years of struggling to find a complement to superstar Odell Beckham Jr., watching Victor Cruz having his career derailed by knee injuries and Rueben Randle's regular mental lapses cost the team in critical moments, the Giants appear to have finally found their answer at the #2 WR position in Shepard. The son of former Redskins and Cowboys wideout and return specialist Derrick Shepard has the classic profile of a slot receiver - a water bug type with great route-running skills and generally reliable hands. But his skills extend way beyond that. Shepard's combine numbers didn't leap off the page - just 4.48 in the 40 and 7 seconds in the 3-cone drill, and only 5'10" with short arms. But in his first year as a pro he showed a knack for making highlight-reel catches. Here he is in the preseason. The catch itself is impressive enough, but watch the way he uses his quickness to beat press coverage and separates at the top of his route. Elite change-of-direction skills are indispensable for smaller receivers, and here he does a great job of selling the post pattern before breaking to the corner, as well as adjusting to a ball that was thrown behind him. And again, here he uses his quickness and acceleration to get open even against a DB who's clearly guilty of holding. He's also good after the catch. Shepard's ability to defy his small stature brings to mind the recently retired Steve Smith. His numbers may not reach All-Pro levels as long as he's playing second fiddle to OBJ and catching passes from a quarterback who appears to be in decline. But possesses all the hallmarks of an excellent NFL receiver. The Panthers sent heads spinning like Regan MacNeil last offseason when they decided to part ways with All-Pro corner Josh Norman, releasing him from the franchise tag and letting him walk into the waiting arms of Daniel Snyder. The Panthers had some players in place behind Norman in 2015 - namely Charles Tillman, Bene Benwikere and Cortland Finnegan, but Tillman and Finnegan both opted to retire while Benwikere, despite a reasonably strong showing in 2015, turned out to be fool's gold. Thus the Panthers went into 2016 with a completely rebuilt group of corners, including two rookie starters. The secondary struggled as a unit, particularly Benwikere, Daryl Worley and Robert McClain, but Bradberry wound up being the lone bright spot in the group. A tall, long-armed corner in the mold of Aqib Talib and Xavier Rhodes, Bradberry is one of the few corners in the league with the physicality to match up against the big receivers that dominate the NFC South, like Julio Jones, Mike Evans and Michael Thomas. The rookie held his own in the times he was matched up against Julio Jones. Here you see them matched up at the bottom of the screen. Bradberry effectively uses inside leverage to force Jones to the sideline and limit the catch window considerably, forcing an incompletion. Here you see him again at the bottom of the screen with solid press coverage, and then remaining in Jones' back pocket, forcing Matt Ryan to look elsewhere. On this play Bradberry is forced into the trail position where Jones has inside leverage, which is one of the toughest things for a young CB to handle, but Bradberry manages to remain step-for-step with Jones on the deep cross and ultimately knocks away the pass. But Bradberry's best trait, according to iknowcool is his tackling ability. This is true in run support as well. Great corners typically make the biggest jump of any position outside of quarterbacks from year 1 to year 2, so if Bradberry makes the kind of progression that's expected of him, Panthers fans should expect him to make them forget the name Josh Norman altogether. In a way, he reminds me of Norman except he's far more technically sound as a rookie than Norman was (Norman always had the talent, but was far too prone to mistakes in his first 2 years). Both are long corners with good athleticism to boot and are very good at tracking the ball in the air (Norman, of course, being elite in this regard). Like Norman, he isn't the fastest or quickest corner and thus he's susceptible to giving up big plays to guys like T.Y. Hilton (Hilton got behind Norman a couple of times in 2015 but Norman made amazing plays on the ball). However, with more experience, I expect he will excel in coverage against larger receivers ie. Evans. One of the most interesting new developments among NFL defenses over the last couple of years has been the creation of the "moneybacker" position - a linebacker/safety hybrid who assumes the traditional duties of a middle linebacker but has the athleticism to cover wide receivers if necessary. Deone Bucannon of the Cardinals was the first to be officially used in this capacity (although there have been other former college safeties to play LB at the pro level, most notably Thomas Davis) and Deion Jones is a player very much in that mold. The rookie from LSU started 13 games for the NFC Champs, playing virtually every defensive snap by season's end, and his rapid progression was a major reason for the improvement of the Falcons' defensive unit as the season wound down, and into the playoffs. Jones' game is speed. He ran a 4.59-second 40 at the combine, but looks faster on tape. This speed allows him to be a true sideline-to-sideline player who can be effective in pursuit at all levels. It also makes him deadly on A-gap blitzes, as Aaron Rodgers learned during the NFC Championship game. He can also be very difficult to block at the second level if not reached quickly. And while he does not frequently get assigned to play man coverage, his instincts playing zone appear to be at a pretty high level for a rookie. And he has the athleticism to pick off balls that most linebackers wouldn't be able to. The scary part about Jones is that there's still quite a bit of room for him to improve in certain areas: he missed roughly a dozen tackles on the year (an issue that was raised in pre-draft scouting on him) and occasionally struggles to shed blocks. But his improvement over the course of his rookie campaign suggests that he's well on his way to becoming a dominant force in the middle of the Falcons' young defense. Green Bay has been a veritable wide receiver factory for the past decade. They've expended more premium draft picks on the position than just about any other team (only the Steelers have used more) and been richly rewarded for that investment. The list of names is impressive: Greg Jennings, James Jones, Jordy Nelson and Randall Cobb have all registered at least one double-digit touchdown season for the Pack and three of the four were selected to Pro Bowls. Adams seems poised to be the fifth in that line. A receiver with prototypical length and build, Adams has a physical profile similar to that of the Chargers' Keenan Allen - a player who doesn't have blazing speed but wins one-on-one matchups with quickness and technique. Adams announced his presence as a rookie, having his breakout performance in a week 13 matchup against the Patriots that had been billed as a potential Super Bowl preview (and almost was). Adams led everyone on the field in that game with 121 receiving yards, including a 33-yarder and a 45-yarder. However, in 2015 he, like the rest of the Packer offense, took a step back as he struggled with his expanded role in Jordy Nelson's absence. Drops were a particular problem for him, as he had 6 on just 94 targets. 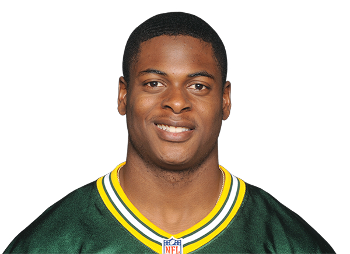 In 2016, though, Adams became the player the Packers envisioned him being. His 12 TDs tied him for second in the league behind only Nelson, and he was Rodgers' most reliable 3rd down target until a minor slump in December. Like all successful Packer receivers, Adams' best traits are his route-running and body control. He has become very difficult to cover on slant routes with his elite ability to sell his first step. His biggest area of improvement aside from his overall consistency was his ability to catch the back shoulder fade, which is such a crucial part of the Packers offense. On top of all that, he has the concentration to make some pretty spectacular contested catches. With Jordy Nelson about to turn 32, it's not unreasonable to think that Adams will ascend in short order to being Aaron Rodgers' favorite target. If he continues to build on his improvement from 2016, he could be the latest in a prestigious line of great Packer receivers. Interior linemen can be difficult to evaluate sometimes. There are those like Aaron Donald, Ndamukong Suh and Geno Atkins who excel at penetration and thus get plenty of chances to make highlight-reel plays. But then there are those like Vince Wilfork and Alan Branch whose primary task is to eat up multiple blockers and allow the linebackers behind them to shoot gaps and make plays. There's also a third category of guys whose roles are not so easily defined because they're asked to do a little bit of everything, and without knowing the play call, it's tough to tell as a spectator whether they did a good job or not on any given play. Chris Jones falls in this third category. I don't know how he finished, (but) I know around week 15ish PFF had him as 3rd in pressures per pass rush for interior linemen. Just behind Aaron Donald and Geno Atkins, and he obviously led rookies in that, then. He's probably the best interior pass rusher we've had, already, since the 90s. Even better than peak Poe or Bailey if we're purely talking applying pressure. His athleticism really flashes when he's on the field. Great acceleration and speed for his size. Has a knack already for deflecting passes as well. 6 PDs in 12 starts (including the post-season.) His sack numbers don't seem impressive at first glance, but when he started seeing playing time after the bye, he played against Oakland twice, Pittsburgh, New Orleans, Tennessee, and Atlanta, so about half of his games with noticeable playing time featured either a quick release QB, a great OL, or both. And he still stood out, just didn't get home terribly often. Finding pro highlight tape of Jones was difficult, so I watched three Chiefs games - against Pittsburgh (divisional round), Carolina (week 10) and Atlanta (week 13) to get a better sense of who he was as a player. While he did not make many of what can be called 'splash plays', what stood out to me about him was how rarely he was beaten. A good example can be seen here, against the Steelers. Jones lines up at LDE across from Marcus Gilbert, one of the top right tackles in football. Quick off the snap, Jones gets his hands under Gilbert's pads and pushes him back to eliminate any sort of cutback lane for Le'Veon Bell and snuff out a 3rd & 1 running play. There were other times, though, when Jones was a very effective penetrator. He had a crucial sack of Cam Newton late in the 3rd quarter against Carolina, which put the Panthers out of field goal range as they had an opportunity to go up 20-3, and helped key a come-from-behind victory. Jones used a fantastic rip to Trai Turner's inside shoulder to throw him off balance and showed tremendous closing speed to sack a QB who's known for escaping sacks like this. On his only other sack of the year, he just plain overpowered Denzell Goode of the Colts on a bull rush. Here's another example of him using his athleticism to disrupt Ben Roethlisberger's passing lane on what looks like a middle screen. And here he is catching Kenny Wiggins leaning too far on an attempted seal block, then stuffing Andre Williams for a loss in week 17. It remains to be seen whether Jones can start to pop more off the stat sheet to draw the eyes of outside observers going forward. But as a rookie he exhibited the talent and effort to draw consistent praise from his coaches and teammates. He also has the personality to stand out in the locker room and in the media. If the Chiefs remain a contender in the league's toughest division, he'll get noticed league-wide in a big way. Raise your hand if you'd ever heard of the Hobart and William Smith Statesmen. I actually had to Google the college to find out what the name of their football team was. The Bucs made Ali Marpet the first NFL player to come out of the obscure Division III school since more than a decade before helmets were a standard part of football equipment. The 6'4", 305-pounder had such an impressive showing at the 2015 Combine that Jason Licht decided to take a flyer on him in the second round, despite the inferior competition against which he played at Hobart. Licht's gamble has paid huge dividends as Marpet has quickly grown into one of the best young guards in the game. There's always a question of whether guys who are great pure athletes about whether they can turn that athleticism into football proficiency. In Marpet's case, his rare combination of strength, agility and balance has been supplemented with outstanding technique and awareness in relatively short order. I'll forego gifs for this profile because there's an outstanding video by Jon Ledyard and Brandon Thorn from Inside the Pylon that breaks down the different ways in which Marpet shines on film. When Marpet first joined the Bucs he learned under the wing of 7-time Pro Bowler Logan Mankins. In the season following Mankins' retirement, Marpet showed just how much he'd learned by quickly developing into a player very similar to what Mankins was in his prime. Expect him to be an anchor on the Bucs' offensive line for the next decade. The 49ers organization doesn't have a lot going for it these days, but even as arguably the worst team in the league, they had a couple of bright spots in 2016. The team's 2016 first round pick, known to those around him as "DeFo" has the potential to be the centerpiece of their defensive unit if the team can turn things around under Kyle Shanahan and John Lynch. A college teammate of the Niners' previous first round pick, Arik Armstead, Buckner has a similar physical profile - tall and long-limbed, with a higher center of mass than most interior linemen, but also the strength to be able to redirect or overpower blockers and enough flexibility to bend around them as well. Buckner had an inconsistent start to his rookie year, often keeping too high a pad level to win regularly at the point of attack. But as the season wore on this, along with his awareness steadily improved and in the second half of the season he could frequently be found among ProFootballFocus' highest-graded defensive linemen. He especially stood out in the 49ers' week 11 game against New England. Matched in the trenches primarily against Joe Thuney, one of the better young guards in the league, Buckner was able to disrupt the pocket with remarkable frequency. Here he is quickly beating Thuney off the snap in the first quarter. Only Tom Brady's legendary pocket presence allowed him to escape the sack here. Later in the game he absolutely bullied center David Andrews and was able to finish the sack. Here he lines up off Andrews' left shoulder and out-leverages him to once again force Brady to leave the pocket. At the start of the 4th quarter he made another great push against Thuney, which required Brady to make a spectacular move to escape the sack. But his most impressive play of that game came on a run. Here you see him dominate Thuney at the point of attack, collapsing Dion Lewis' initial lane, then quickly shifts his weight to the opposite side and closes off his cutback lane as well. Buckner's exceptional combination of athleticism, size and strength means that if he can fully master the nuances of playing his position at the pro level, he's sure to become among the most dominant defensive linemen in the league, up there with the likes of J.J. Watt and Aaron Donald. And the 49ers will need him to do just that if they want to return as a team to where they were in the Jim Harbaugh era. There's a strong possibility that Gabe Jackson is already one of the 3 best players in the league at his position. An absolute mauler with remarkable athleticism for a man his size, Jackson is a player in the mold of some recent greats like Brian Waters and Larry Allen. A 3rd round pick in the same draft in which the Raiders selected All-Pro pass rusher Khalil Mack and QB Derek Carr, Jackson first announced his presence in week 2 of his rookie year when he (with some help) became the first player in three years to hold J.J. Watt without a QB hit. Watch the left guard. The refined pass protection technique Jackson exhibited early on has only gotten better. Here he is using outstanding balance and hand placement to fight off Justin Houston of the Chiefs in week 14 of this past season. Here he is doing the same to Derek Wolfe. He's also shown the ability to dominate in the running game. Altogether it's very difficult to find any real instances of Jackson getting beaten in a 1-on-1 matchup. There are some outstanding interior linemen in his division - Dontari Poe, Chris Jones, Derek Wolfe and Joey Bosa and in facing all of them he didn't allow a single sack throughout all of 2016. Hard to imagine how much better he can get from this point on, but for all his prowess he's still yet to be selected to a Pro Bowl. Expect that to change as the Raiders continue to improve as a team. A wide receiver's production is far more reliant on the abilities of his teammates than that of any other position. If the other wide receivers on the team are bad, he's much more likely to draw double coverage; if the offensive line is bad, he won't get as many opportunities for big downfield catches; and if the quarterback is bad he'll need to be able to get wide open and make some spectacular catches to get on the stat sheet (and even then the throws might be bad enough to keep it from happening.) Quincy Enunwa managed to turn heads this year despite playing in one of the worst QB situations in the league. A tall, powerful receiver cut physically from the same cloth as Terrell Owens and Andre Johnson, Enunwa seized the opportunity created for him by an early-season injury to Eric Decker that propelled him to the top of the Jets' depth chart and finished the year leading the team in receiving yards, yards per catch and touchdowns, and 1 behind Brandon Marshall for the team lead in catches. Like any receiver with his build, Enunwa lives for contested catches. He uses his frame to box out smaller DBs as well as any receiver in the league. He also tracks the ball in the air and adjusts to underthrown balls well enough to make his size advantage meaningful on fly routes. He's also showed flashes of elite YAC ability. But the real test for a wideout comes when the coverage against him is elite. In week 12 Enunwa showed that he was up to the task, posting a season-high 109 yards against the Patriots, including a pair of sensational catches against Malcolm Butler who was basically glued to him. With Brandon Marshall all but certain to exit the Jets this offseason, Enunwa's role in the team's offense will surely expand even further. And if they can get even average play out of their quarterbacks, we have every reason to expect him to ascend, if not to the uppermost echelon alongside Julio Jones and Antonio Brown, then certainly to the next one down from that, occupied by the likes of Mike Evans, Jordy Nelson and DeMaryius Thomas. He has the ability. All he needs is some more quality throws coming his way. It's tough for a player to distinguish himself when he's stuck behind a pair of All-Pros on the depth chart. But that's exactly what the 24-year-old out of Ohio State has managed to do as the Broncos' #3 corner behind Chris Harris and Aqib Talib. More than any other position, one really needs all-22 film to accurately scout defensive backs because they rarely receive attention from television cameras unless they either make a big play themselves, or whoever they're covering does. I unfortunately don't have all-22 film available to me. So I had to watch several Broncos games in succession to get a sense of the type of player Roby is. What I can tell you is that he's a corner with average size who plays with highly polished technique despite his youth. The Broncos will typically trot him out on the perimeter, across from the split end, to counter 3-receiver sets and generally have him play off-man coverage to take away the deep ball and take advantage of his excellent closing speed. In this capacity, Roby rarely gets thrown at, and even more rarely gives up plays. In Super Bowl 50 he was the Broncos' best corner, giving up just one catch on three targets and knocked away two passes while playing 41 snaps. So we know he plays well in his established role. How does he do when he's forced into a bigger role? This past year we got a chance to see just that when Talib missed three games against three pretty good offenses - the Chargers, the Raiders and the Saints. Pressed into a starting role, Roby acquitted himself quite well despite being tested frequently. Against the Chargers he allowed just two catches for 34 yards on 9 targets, and had one of his two pick-sixes on the year. The Raiders game was a similar story, though he gave up a few more catches, most of them went for very little yardage. He looked especially good when Derek Carr target him on perimeter pick plays, showing great awareness in not getting washed out by the routes. Against the Saints he gave up a couple of long plays and a pair of touchdowns, but even on those he had basically perfect coverage and was beaten by perfect throws. Here's the first touchdown by Willie Snead. Roby is glued to him for the entirety of his route. Here's what the second touchdown, by Brandin Cooks looked like. Roby gave as good as he got in that game, however. Here he makes a great play against Michael Thomas in the slot despite being at a considerable size disadvantage, forcing a bobble that results in an interception by Darian Stewart. He also forced a fumble by Thomas later in the game (which also, coincidentally, ended up right in Stewart's hands). You likely won't hear Roby's name mentioned among the upper echelon of NFL cornerbacks for at least another year, barring a prolonged injury to Talib or Harris. But he's already one of the most technically sound DBs in the game and despite not having the length of a Talib or Richard Sherman he's shown the ability to compete even against larger receivers when it's been demanded of him. He's also had a knack for creating turnovers, including some highlight reel ones. In a pass-happy era in which offenses will spread out defenses to pinpoint mismatches to exploit, having depth at corner is a must. But having a #3 who's as good as most teams' #1s is a luxury only the Broncos have. You can't replace a legend, you can only hope to succeed one. Antonio Gates was an institution in San Diego for 14 seasons and will finish his career top-3 among his position in every key statistical category. Henry, as the player to whom Gates looks to pass the torch looks poised to be a worthy successor to the legacy of great tight ends to play for the Chargers franchise - a legacy that also includes Hall-of-Famer Kellen Winslow and Freddie Jones. Henry's rookie season - particularly his eight touchdowns (the most by a rookie tight end since Rob Gronkowski) - turned heads on a number of levels. Not only did he evince the prototypical size/athleticism combination expected out of an elite TE in the post-Gonzo era, but he also showed remarkable polish for a rookie with his crisp route running. The matchup against Denver in week 6 featured a couple of great examples, including this first quarter catch where he did a beautiful job selling the 5-yard out pattern before breaking down the seam and leaving Todd Davis floundering. His touchdown in that game was an impressive display of body control as he managed to out-leverage Chris Harris in attacking the ball. Elsewhere, he impressed with his ability to make quick cuts at the top of his route. As well as adjusting to less-than-perfect throws. And while he's not quite Gronk with the ball in his hands, he did flash some Gronk-like tendencies. He also made a certain highlight-reel catch that was highly reminiscent of one Gronk made a couple of years ago. Unfortunately I couldn't come across any highlights of his blocking, but Kyle Posey of Bolts From the Blue called him "the best blocker on the team, and that includes offensive linemen" and Pro Football Focus at one point rated him as the best blocking TE in the league. Between Gronk (when healthy), Travis Kelce, Greg Olsen, Jordan Reed (when healthy), Jimmy Graham, Martellus Bennett, Gary Barnidgep, Tyler Eifert (again, when healthy) and Cameron Brate, the league currently features probably the highest concentration of premier talent at the tight end position that it's ever seen. Henry, if he follows through on the promise he showed as a rookie, could eclipse most of those names in a year or two. Trey Flowers isn't very tall. He's not very big. His arms are long but not spectacularly long. He ran a 4.93 40-yard dash and a 7.34 3-cone drill at the combine. In all those respects, from an athletic standpoint he's nothing special. So how does a player with no apparent outstanding physical traits become the best defensive lineman (and possibly best defensive player) on a Super Bowl champion team? By working hard enough on fine-tuning his skillset to earn himself the nickname "Technique" around the team facility. That's what Trey Flowers was able to accomplish in his first full season as a pro, after having his rookie year virtually wiped out by an injury sustained in week 1. Flowers didn't even become a mainstay the Patriots' defensive line rotation until midway through the season, initially looking up at veterans Chris Long and Jabaal Sheard on the depth chart. It wasn't until week 10 at San Francisco (a game for which Sheard was inactive) that Flowers saw his snap count rise from less than half to upwards of 75% and began to really emerge as a dominant player. As his nickname implies, Flowers is a world-class technician, using hand placement and a low center of mass to win where he can't win with brute strength or reach advantage. And he's shown the rare ability (particularly for a smaller lineman) to win both off the edge and when lined up at 3-tech and over the center (where Bill Belichick and Matt Patricia started to employ him on passing downs regularly in the second half of the season). Here he is doing just that, humiliating Matt Paradis (one of the better centers in the league) by pulling him off his base and closing for a sack of Trevor Siemian. In the same game he made quick work of Max Garcia, once again using a quick lateral move to catch him leaning too far into his block. He was every bit as effective against the run as well. Here he is in week 10 dispatching Trent Brown to help stop Carlos Hyde for no gain even after his initial rip carried him away from the hole. There were instances in which Flowers wrecked an entire series for an opponent. Watch him disrupt the Dolphins' first three plays from scrimmage in week 17. Then on second down he disengages from Albert's lunge and weaves his way into Ajayi's cutback lane to stop him for minimal gain. Luckily for the Patriots, Flowers saved his best for last. Against the Falcons he became one of just 9 players in history to record more than 2 sacks in a Super Bowl. His first would force a punt on Altanta's first possession, as he outmuscled Jake Matthews off the edge and nearly forced Matt Ryan to fumble. Late in the 3rd quarter he combined with Kyle Van Noy on another key 3rd down sack, which forced a punt after the Patriots failed to recover an onside kick. Finally on the Falcons' next-to-last possession he beat a double-team by Alex Mack and Chris Chester to force the Falcons to the outer edge of field goal range after they'd been set up for a kick that would've put the game out of reach for the Pats two plays earlier by Julio Jones' spectacular catch. 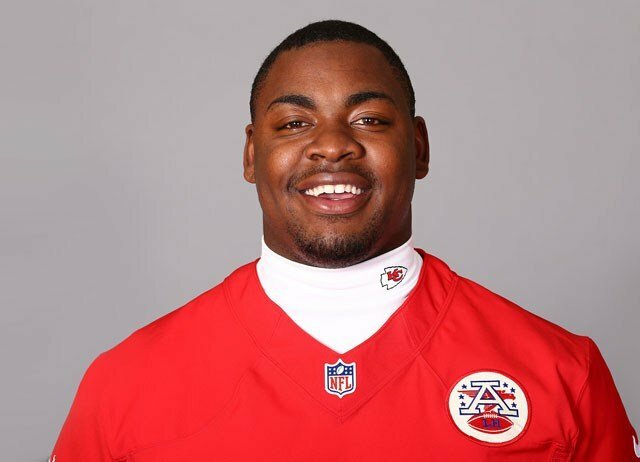 There's ample reason to caution against anointing a player with a little over half a season as a full-time starter as the next dominant force at his position, but Flowers has flashed elite ability with remarkable regularity, possesses rare versatility and played his best on the biggest stage. If he continues on his current trajectory, he'll be talked about right alongside the top defensive linemen in the NFL for years to come. The Jacksonville Jaguars have had a pretty lousy decade. The new ownership headed by Shahid Khan has done all it can to keep its fan base engaged since purchasing the team in 2010, but no amount of neat stadium amenities, Jaxson De Ville antics or 9am London games can wash away the stink of a team that hasn't made the postseason since 2007 and has averaged 4.2 wins a season in that span (including 5 wins or fewer each year since 2011). The Jaguars have been waiting to turn the corner through three different head coaching regimes and two general managers and they have acquired some pretty impressive talent in that time, including linebackers Telvin Smith and Myles Jack, defensive linemen Dante Fowler, Sen'Derrick Marks and Malik Jackson, and wideout Allen Robinson and Allen Hurns, but they've yet to compile that talent into anything meaningful. Jalen Ramsey is the latest and perhaps best young defender to be added to their stable, combining the length and raw athleticism of Aqib Talib with the versatility of Tyrann Mathieu. In starting every game of his rookie campaign, Ramsey wore a number of different hats for the Jaguars, playing both on the perimeter, over the slot and occasionally as an in-the box safety, and matching up against all manner of receivers, and in all those roles he played with a high degree of proficiency and confidence - such a degree that in certain games quarterbacks made the conscious decision not throw in his direction, preferring instead to go after veterans Davon House and Prince Amukamara. Aside from his size, which allows him to effectively match up against big receivers like DeMaryius Thomas and Anquan Boldin (and occasionally tight ends as well), the thing that leaps off the tape when watching Ramsey is his closing speed. There are times when it appears to a quarterback that a receiver has a full step or more on him when he releases, but when the ball is in the air he shifts into third gear and makes up the distance to swat the ball away. This essentially means that any attempt to throw to a receiver running a streak (or even a double move, as seen below) against him becomes a jump-ball situation where the offense is basically holding its collective breath hoping their guy comes down with it. To make matters worse for offenses, his explosiveness also translates to him allowing very few yards after the catch, including in instances where he has to come off his initial assignment. But beyond his physical gifts, Ramsey plays with an extraordinary level of refinement. His hand usage in press coverage is as good as I've seen outside of Richard Sherman, and he's virtually perfect at playing corner fades. He's a great hit & wrap tackler as well. If there's a knock to speak of against Ramsey it's that he can occasionally look a bit nonchalant in the running game when the play isn't coming to him. But his awareness is good enough that he can quickly engage and close in on ball carriers who redirect to his side of the field. It's going to take a lot of work from their coaches and players alike, particularly on offense, if the Jaguars are to claw their way out of their decade-long rut and become something other than a punchline on the national stage. But if they're to do so, Ramsey is likely to be one of the key pieces of that turnaround, and reap a lot of personal benefits from it in the form of personal accolades and earning power. Thanks to iPwn for providing some of the gifs used for this piece. 2016 in the NFL will be remembered for two big things: The first was the 25-point comeback by the Patriots (or collapse by the Falcons, if you prefer) in the Super Bowl; The second is a pair of rookies leading the Cowboys to a 13-3 record and the debate that raged over which of the two was more valuable. But for all the attention Dak & Zeke got, they may not end up being the true cream of the 2016 draft when all is said and done. Another rookie, playing about a 7½-hour drive along I-20 and I-49 had every bit the claim to the Offensive Rookie of the Year award, but got overlooked largely due to playing on an inferior team. Michael Thomas was an immediate impact player for the Saints, catching at least 4 passes for at least 40 yards in each of the 15 games he played as a rookie, including three 100+ yard games and a pair of multi-TD games. Those numbers are impressive on their own, but what's truly eye-popping are a pair of more obscure numbers: 76.0% and 2. Those are Thomas' percentage of targeted passes caught, which led all NFL wideouts and his number of drops. Those are unbelievable numbers for any receiver, let alone a rookie. Not even the great Larry Fitzgerald (of whom Thomas is more than a little reminiscent) ever posted a catch percentage that high in a season. And yes, some of that is Drew Brees and his remarkable accuracy, but in Brees' 11 seasons in New Orleans, Thomas' catch rate was the highest ever by a wideout. Thomas isn't merely sure-handed. He also possesses an improbable amount of polish for a rookie wideout. His route-running is extremely crisp. For a man his size, the suddenness of his cuts is phenomenal. This shows up routes that require a lot of quick cuts, but even moreso in creating space for himself on start & stop routes and back shoulder catches, and in making YAC. And like any receiver his size should be expected to, his ability to high-point balls and fight through press coverage is at a very high level. He's also physical enough to break tackles like a tight end. Even without blazing speed (he ran a 4.57-second 40 at the Combine), Thomas is an uncommonly complete player at a position where there's a glut of talent unlike the league has seen in the past. The Saints have seen somewhat of a revolving door of wideouts during the Brees era with the exception of Marques Colston. Thomas looks to be a guy who can provide the team with a foundational skill position player after the 39-year-old QB passes the torch. There might not be an easier way to escape notice in the NFL than to play for the Titans. And it's easy to understand why. The team plays in one of the league's smallest media markets, they've never won a championship and haven't sniffed the playoffs since 2008. They've also been waiting since Steve McNair's unceremonious exile in 2004 to find a franchise quarterback, having spent the intervening years cycling through a series of uninspiring also-rans (Ryan Fitzpatrick, Zach Mettenberger), veteran fill-ins on their back nine (Kerry Collins, Matt Hasselbeck) and highly drafted flameouts (Vince Young, Jake Locker). But in his second season out of Oregon, #2 overall pick Mariota elevated his play to a level where Titans fans can legitimately get excited that they've finally found their quarterback for the next decade or more. Mariota's combination of athleticism (4.52 40-yard dash) and arm talent is uncommon. Everyone knew that from his days at Eugene under Chip Kelly. The big question was how his game would translate to the pro level, given how simple the passing concepts and coverages were in college, relative to the NFL. He suffered expected growing pains during his rookie year, struggling somewhat to adapt to the heightened speed and complexity. Pocket awareness was especially problematic for him, as he still manifested a bad habit of stepping into pressure and quitting the pocket too early. But from the very start of his second year, supported by a vastly improved running attack and offensive line, Mariota showed tremendous growth. In addition to spectacular growth in his ability to go through his progressions, the biggest improvement in Mariota's game in 2016 was his anticipation throwing. Time after time, over the course of the season, he impressed with his ability to hit downfield targets with precision, threading the needle with throws that were impossible to defense. He also made some absolutely spectacular deep touch passes that rivaled the very best in the league. This one in particular, against the Jaguars, is a throw that very few quarterbacks in the league have the will to attempt because of the lurking free safety and even fewer can drop it in the bucket with this kind of accuracy. He has also retained his ability from college to make accurate throws without his feet properly set. And lest we forget, he's still effective running the ball. There are still some kinks to iron out in Mariota's game with regards to his ability to feel pressure and climb in the pocket; he's also yet to fully master the back shoulder throw, and 360 of his 451 pass attempts this year came from the shotgun. He's also somewhat hamstrung by the predictability of the Mularkey/Robiskie offense. But if his growth from year 1 to year 2 is any indication, Mariota is primed to ascend to the upper echelon of NFL quarterbacks. There's an old song about a boy named "Sue" who's forced to grow up mean and tough and homicidal on account of the feminine name. If the play of #99 on the Vikings is any indication, "Danielle" is just as effective in turning a lanky kid from Jamaica into a hell of a football player ("Christine", however, is another matter). The former 3rd round pick out of LSU spent 2016 largely rotating in behind Everson Griffen and Brian Robison on the Vikings' excellent defensive front. All-told he wound up the season playing just over half the team's defensive snaps. In light of that, his production (12.5 sacks, tying him for 3rd in the league) was pretty remarkable. But what was more remarkable was the way he got those sacks. There were very few easy paths to the quarterback for Hunter; in 2016 he lined up against a murderer's row of OTs, that included David Bakhtiari and Bryan Bulaga of the Packers (twice), Tyron Smith and Doug Free of the Cowboys, Taylor Lewan and Jack Conklin of the Titans, Trent Williams and Morgan Moses of the Redskins, and D.J. Humphries of the Cardinals. Against those opponents he racked up 8.5 sacks and 12 QB hits. Hunter makes the best of his freakish athleticism. A 4.57-second 40-yard-dash puts him in the very upper echelons for speed at his position. But more impressive were his pro day results: a 36½" vertical 6.95-second three-cone drill would put him among the top performers among DEs at the Combine, and his 10'10" broad jump is practically unheard-of for a 250-pounder. On the field, he plays up to that athleticism, bringing a rare ferocity off the snap that brings to mind Hall-of-Famer Jason Taylor. This adds up to an exceptionally violent and effective bull rush. Most tackles simply don't have the quickness to match him step-for-step. Watch how quickly he overwhelms the backpedal of both Bulaga and Humphries, forcing one off balance and the other right into the face of his quarterback. Here he manages to get under Doug Free's pads despite coming a bit too upright out of a 2-point stance, then extends his arms and out-leverages him around the edge. He's effective with his inside technique as well. Here he draws a holding call with a sharp rip against Trent Williams. And sometimes he's just too quick to even have a hand laid on him. What he did to Michael Oher to collect a safety against Carolina was practically criminal. You might want to avert your eyes if you're sensitive to displays of public humiliation. But that's not all! Despite being used primarily on third downs, Hunter looked relatively stout in the running game as well. Here he redirects against Tyron Smith and snuffs out a stretch run by Ezekiel Elliott. Here he does the same to Bulaga off the right side. On this one he disengages guard T.J. Lang to his outside shoulder to bring down James Starks for no gain. Sorry, I just need to see that safety again. You know, the really amazing thing is that he initially fell for the run fake. How does Oher live with himself after that? Anyway, the really scary thing about Hunter is that his technique isn't fully developed yet. A lot of the time he wins with athleticism alone. He's going to be playing a lot more than 54% of team snaps next year, and if he refines his hand technique a bit more, he's going to be a perennial 15-20 sack guy. Hell, he might challenge the likes of J.J. Watt and Von Miller as the top pass rusher in the league. That's my list. Hope y'all enjoyed reading it as much as I enjoyed making it. Like seeing Maliek Collins get the attention he deserves after a really strong rookie year. Excited for his future for sure. Cool, looking forward to seeing this. If Tim Tebow had Dallas' offensive line he would be Dakota Prescott. Man, you missed the best Shepard gif. That double move he put on that Washington DB was beautiful. 1st yr head coaches rarely see success their 1st yr, if at all. I can see two more dolphins on this list. If Ajayi stays healthy he will show everyone that he's a top 5 RB. Jordan Hicks was the one player who instantly came to mind for the Eagles. Extremely underrated. Nice choice. Limit one per team, dude. But if it helps, my initial choice for the Dolphins was actually Parker. I put it to a vote and Tunsil won in a landslide.